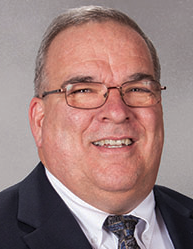 Dr. Norman D. Stewart, 63, of Crystal Lake, passed away Sunday, April 7, 2019 at his home. He was born July 25, 1955 in Springfield, OH, the son of William and Marilyn (nee Jenkins) Stewart. Norm earned a Doctor of Veterinary Medicine and master’s degree in animal breeding and genetics from The Ohio State University. With more than 30 years of experience in industrial veterinary medicine, Norm joined a mixed animal practice in Ohio before beginning his career in technical services. In his current role at Merck Animal Health as the Senior Account Manager, Scientific Sales Affairs, he specialized in cow health, calf care and reproduction. Norm was recognized as Veterinarian of the Year by the American Association of Industrial Veterinarians in 2000. He found great joy in overseeing the Merck Scholarship Fund for Veterinary Students, traveling the world to distribute scholarships earned. Above all, his prized title of “Papa Norm” to his five beautiful granddaughters was most cherished. Norm was the loving father of Tristan (Brenna), Nicholas (Diana) and the late Tyler (Christina) Stewart; cherished Papa of Eleanor, Penelope, Chesney; Hannah and Tyler; brother of Bill Stewart; and devoted son of Marilyn and the late William Stewart. He was preceded in death by his father, William; son, Tyler; and beloved pooch, Pepper. Friends are welcome to visit with Norm’s family on Saturday, April 13 from 4-8p.m. with a service beginning at 7 p.m. at Davenport Family Funeral Home and Crematory, 419 E Terra Cotta Ave. (Rt. 176) Crystal Lake. Fund # 316572, Dr. Norman D. Stewart Scholarship in Veterinary Medicine established in memory of Norman D. Stewart (DVM ' 83) to support scholarships in the College of Veterinary Medicine for students with an interest in large/mixed animal medicine. Memorials may be mailed to OSU College of Veterinary Medicine, Attn: Office of Advancement, 1900 Coffey Road, Columbus, Ohio 43210 for a scholarship established in his name (please include #316572 in the memo line).